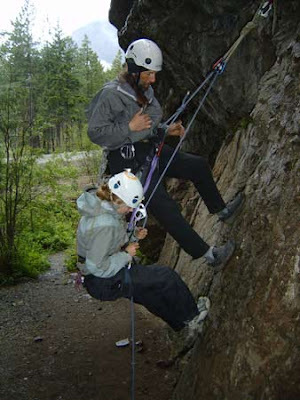 The American Mountain Guides Association has been running Top-Rope Site Manager Certification courses through providers like AAI for a number of years now. This class is the first in the guide training and certification program designed by the AMGA. It has long been a gateway to climbing instructor employment at a guide service, a school, or a camp. Currently, one must be able to set-up and run a crag for top-rope instruction to pass the exam and obtain certification. As of January 1, 2008, the standards are going to rise significantly and the certification will be much harder to obtain. 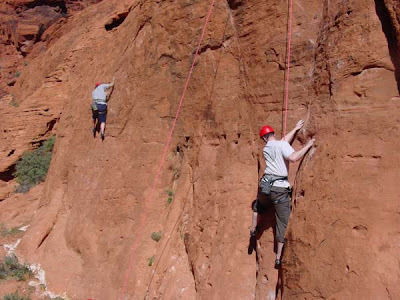 Candidates will be required to lead a 5.6 traditional rock climb in order to pass the exam. Many individuals are currently signing up for the Top-Rope Site Manager (TRSM) course in order to get their certification before the exam becomes more difficult to pass. If you are thinking about taking the TRSM class and don’t yet lead climb with traditional gear, then it’s important to take the class and pass the exam before the first of the year. After January 1, 2008, you will have to take the more difficult Single Pitch Instructor (SPI) course and exam. The TRSM certification is good for three years. After the certification period is up, you will have to take the SPI recertification exam. Those who take the course and exam before the first of the year will have three full years to bring their skills up to the level required for SPI recertification, while still enjoying the benefits and the prestige of AMGA certification. Find out more about AAI’s Top-Rope Site Manager and Single Pitch Instructor programs. 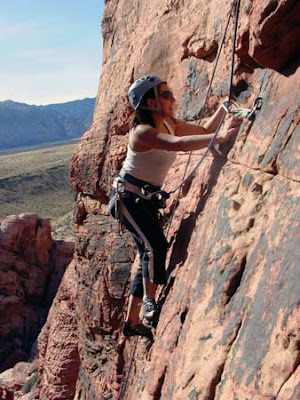 If you have any questions about AAI's climbing programs in Red Rock, please get in touch with AAI's Red Rock Program Coordinator, Natasha Caldwell, at natasha@aai.cc or at 800-424-2249.